Okay, maybe Shakespeare was speaking about physically surveying the plot (more in space than time), but the idea is very similar. Look at the situation. Model it. Reassess. Replot. Remodel. Present. August 5-8, 2010 at Rocky Mountain College of Art and Design (RMCAD) will mark the 6th Image Space Object conference. I have been lucky to serve as a speaker and studio mentor for all six, and believe that, even with all the conferences and workshops I’ve attended, it is the most engaging and unusual. There are some fabulous speakers at the conference (and it tends to be very much the same crew each year). This year, in addition to the organizers Mike and Kathy McCoy and Fred Murrell, studio mentors include Hugh Dubberly of the Dubberly Design Office (who has been at ISO each year, I believe), Rick Robinson (Founder of eLab and formerly at Sapient), Chris Conley (from IIT and Gravity Tank), and Tucker Viemeister (director of the Lab at Rockwell Group). New this year at ISO is Shelley Evenson of Carnegie Mellon, and I’m very much looking forward to meeting her. But, what makes ISO different from other conferences is that the participants, errr, participate. As Mike McCoy is fond of saying, this is more of a graduate seminar than a series of lectures. Each attendee works together with their team and their studio mentors to build an original solution to a vexing (but entertaining) design problem. The challenge forces the team to work together in a multidisciplinary way to devise and present their solution. We’re calling this year’s conference “Tools for Transformation”, and that’s exactly what it offers those who take part. Tools for collaboration, ideation, and expression, with a focus on rapid, low-fidelity, down and dirty prototypes. The entire conference is limited to just 40 participants, so it is truly a unique opportunity to get in and get your hands dirty. Find our more at imagespaceobject.com. The title of this article is Story-Centered Design, but what it really concerns is taking an integrated, holistic approach to developing solutions, especially in collaborative problem solving. It is a truism to say we’re working in an increasingly collaborative age, and it may be overstating the case somewhat (people have always worked collaboratively). What is true is that the partners in our collaboration have expanded to include not only designers and sponsoring organizations but also various audiences and potential audiences, and many of our tools are increasingly complex; by focusing on the human aspects of our work, we improve the value of what we create. Design is a process of problem solving; addressing complex design issues requires the ability to understand the problem in as comprehensive a manner as possible in order to create the best possible solution. A story-centered approach, in conjunction with other user-centered design techniques (including research and prototyping), can help to create superior outcomes by encouraging a whole systems approach to understanding. Stories are how people communicate; this is as true in design and business as in our personal lives. From developing the initial vision for a project through implementing the solution, any complex project requires consideration of numerous points of view. Ultimately, the best solution is the one that most elegantly and simply addresses the needs and desires of the various audiences, and narrative approaches provide an effective tool in helping to define, share, and develop that solution. I did a presentation at the Image, Space, Object conference in August on the topic of Story & Emergent Design – afterwards one of the participants came up and said they enjoyed the talk, and especially the part where I said that I have a tough time explaining to my mother what it is that I do for a living. It occurs to me that this is a fairly serious issue for people who do design research and strategy – or at least it is for me. If my mother doesn’t understand, will anyone else? I often find myself offering up an ‘elevator pitch’ to people I meet and, given their typical response, I think it’s fair to say that if I happened to be riding up with Steve Jobs at One Infinite Loop, I’d be out of a job before I reached the fourth floor. Or maybe not, Jobs is known as being fairly design savvy. But it’s a tough one to explain at a cocktail party. Fortunately for me and my livelihood, there is an increasing awareness of how design strategy can help to inform business decisions. Quite a bit of my work is focused on interaction design (websites, social networking, publishing strategy, etc. ), so it tends to come through the communications, marketing, or information technology groups at organizations. I spent a couple of days last week attending the “Saving Places Conference” put on by the fine folks at Colorado Preservation. 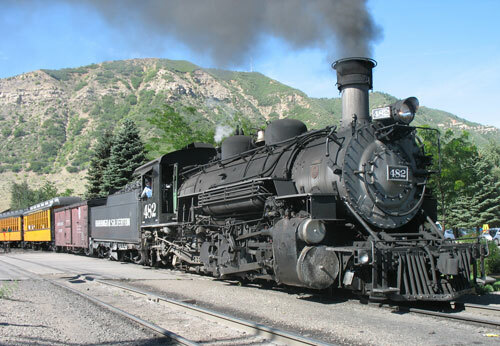 Colorado Preservation is recognized as one of the finest state organizations in the country focused on cultural heritage preservation. The Saving Places Conference is a great example of their excellent programs. Part of the reason I was there was as a representative of The Friends of Historic Riverside Cemetery, as Riverside was selected as one of Colorado’s most endangered places for 2008. But I was also interested in the theme of this year’s conference, “Promoting Colorado’s Heritage”; I wanted to find out whether there are some innovative approaches to creating compelling cultural heritage experiences for the broader community, not just for those who are dedicated preservationists (the more extreme of which are sometimes referred to as hysterical preservationists). It was great to see so many people dedicated to preservation in one place; I’m not sure how many people were there, but it had to be about 300 or so, ranging from homeowners to architects to developers to representatives of the forest service. The sessions ranged from very detailed descriptions of how to engage in preservation activities (apparently there is no way to preserve a wooden grave marker) to the history of urban renewal (at some point, historic preservation became a key identity factor that brought investment into cities in a way that urban renewal couldn’t). The connections between green design and historical preservation pointed to one of the implicit themes of the conference – the importance of making connections. Historical preservation doesn’t exist in a vacuum – it’s part of the fabric of our lives, adding richness and value without being a separate part of our experience. One of the keynote speakers at the conference, Daniel Jordan of the Thomas Jefferson Foundation, said that preservationists are the “stewards of stories.” Yes, absolutely, but the stories of our lives are not one dimensional. We have to connect them to lived experience. In general, people don’t like to be boxed in. History is boring, something you learn in school, heritage sounds boring, and culture sounds stuffy. People travel for a wide variety of reasons, each tied to their own passions, to what they like to do. Some people like camping, hiking, and adventure. Some prefer the local beer, local food, or just hanging out with the locals. And yet, when people travel travel, they regularly visit historic heritage and cultural sites. History adds the richness and texture to their travels. So, even though they don’t self-identify as historical travelers, in reality it’s an important part of the experience. In a sense, history, heritage, and culture are how we make the connection. It’s how we make the story make sense. A couple of the presentations at the conference spoke to the importance of cross-pollinating heritage travel with other activities. For instance, on a panel on tourism in Southeastern Colorado a speaker mentioned the connection between natural and heritage travel – you can go birding on the plains (where you can see the lesser chicken and 400 other species of birds) while you are exploring the mountain branch of the Old Santa Fe Trail. Or, from a panel on ‘agri-tainment’ (now that’s a concept), Kelli Hepner talked about Delta County’s efforts to connect wine, orchards, the slow foods movement, and exploring the black canyon national monument. All this is great, but what is difficult is communicating with individuals who don’t want to be boxed in based on my idea (or anyone’s idea) of what they should do. This is where I found people engaging in all sorts of clever technical tricks to find, rate, and ultimately decide on what to do when they travel. There are some websites and applications that can help in this process. Yahoo Travel, Trip Advisor, Home and Abroad, and others attempt to bridge the gap between expert recommendations and personal preferences. To my mind, no one has done it in a truly effective way. It’s a challenging problem, but also a great opportunity. Ultimately, it could redefine the world of cultural heritage tourism. Over the past few years I’ve spent quite a bit of time working in the world of higher education, both as a consultant and an adjunct faculty member. It seems to me that the very institutions where students learn about the value of design thinking don’t internalize these ideas. Real opportunities for improved products and more effective communication are being missed. This is not a situation that is unique to the educational system. In organizations that pay lip service to developing an innovative and entrepreneurial culture, the reality is that most have a long way to go to achieve the goal of encouraging real innovation among internal staff. Many organizations have hierarchical, decentralized, and consensus driven structures that lead to inefficiency based on “groupthink”, lack of individual accountability, and a ‘keep your head down and it won’t get shot off’ mentality. We believe great innovators and leaders need to be great design thinkers. We believe having designers in the mix is key to success in multidisciplinary collaboration and critical to uncovering unexplored areas of innovation. Designers provide a methodology that all parties can embrace and a design environment conducive to innovation. In our experience, design thinking is the glue that holds these kinds of communities together and makes them successful. Design thinking is seen as the integrative solvent that brings together the programs through a powerful methodology that solves a myriad of problems. […] Kerrey, in particular, was right on. He is leading a major move to make The New School more innovative and to teach innovation throughout its programs. Kerrey wants to implement design thinking not just within the curriculum but also throughout the institution. Opportunities for real innovation are available to those institutions that engage in design thinking; but most will have to work through some fairly substantial issues before they can take advantage of it. Designers, writers, and other creative team members working in these institutions should become the advocates for real change. Design teams are in a complicated position within universities; they not in a position to refuse projects, and even in a changing environment are still responsible for achieving revenue goals. The ability of design departments to advocate for new approaches is dampened by the need to constantly crank out large numbers of projects without having the opportunity to pick and choose. Because of their historical role and the inherent complexities of running an internal design department, internal teams don’t get the respect that outside consultants receive (it’s an offshoot of the ‘you can’t get respect in your home town’ mentality). This reality is not caused by lack of professionalism on the part of the internal team. In fact, to some extent the desire to placate a client, to ‘give them what they want’, can cause strains on relationships and the delivery of products that are less than satisfactory. In order to improve the standing of the group within the University, a new and less democratic (though no less professional) approach to project definition needs to be employed. Internal agencies may not be able to refuse work from within their institution, but it is still important to identify the nature of the project and apply the appropriate resources to assure a successful completion. One way to differentiate between projects is to place them within a simple grid, where one axis identifies the value of the project (from ‘production’ to ‘strategic’), and the other outlines the timeline (from ‘normal’ to ‘urgent’). Whenever possible, internal resources should be working on projects with strategic importance and normal timelines, as these projects generally provide the most value for the organization while increasing the resident intellectual capital. These types of projects also improve the morale of the team, as they are more interesting and less stressful than urgent production projects. The goal is to move toward engaging in more strategic projects, and then to apply the principles of design thinking to those projects. Techniques such as Observation, Research, Personas, and Scenarios help to establish a shared understanding of the project vision and encourage both the clients and the design team to look at the design problem from a different perspective. While it is tempting to set up a perimeter around the internal team and ‘man the barricades’, this may in fact be counterproductive. Hierarchical approaches do not lend themselves to effective collaboration. It is more effective to offer a willingness to engage with projects that are strategic in nature without preconceptions, but with confidence that designers have an essential role to play in building the University of the future. Prototypes allow us to share our ideas in a concrete manner. Stories are how people connect. Strategic projects require narratives. Effective teams us multi-disciplinary, scenario-based stories that engage the client and disarm the arguments. User-Centered approaches, collaborative teams, prototypes, and narrative combine to create a design approach that can allow internal design teams to change the nature of the game. By employing Design Thinking, you have the opportunity to invent the future. The end of consumer culture? Should designers work toward the end of aspirational consumer culture? Can the design industry, broadly defined, reposition and reinvent itself to provide value and sustainability while still creating desire? When I was at Northwestern, I took some classes from a Professor of Philosophy, David Michael Levin, who once asked us whether having a choice was important in our lives. Specifically, he was asking about the difference between choice and the appearance of choice. 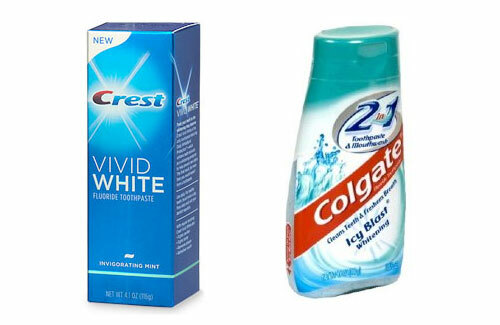 For instance, he asked, is it important to be able to choose between Crest and Colgate? I think of Professor Levin from time to time, and often when I’m walking down the personal care aisle of the supermarket. Looking at all the variations of toothpaste and related products (Whitestrips, anyone? ), I wonder whether it’s possible that our society in general may have gone just a bit too far, and that the designers and product managers and marketers are spending too much of their creative resources on selling products with limited value and without any real differentiation. I’m not arguing that there isn’t valuable product innovation going on, but I tend to doubt the big change involves one of the 50 swirly paste/gel combos on every American supermarket aisle. Think of the improved efficiencies we’ll see just as soon as all the rest of you realize that Tom’s of Maine Peppermint is plenty good enough for everyone. Okay, that’s probably not going to be happening any time soon. And, if there were only one kind of toothpaste, I’d likely never gotten the chance to try out Tom’s products, or the cool toothpaste that combines gel, paste, and some crazy sparkly bits. I do love the crazy sparkly bits. I’m not recommending some sort of centralized control of the means of production; it wouldn’t work anyhow, not in the fast moving consumer goods market, and certainly not in the broader markets. But there’s still something decadent and even unethical about the way we sell the aspirational in consumer goods. Of course, if people didn’t want it, we wouldn’t sell it, and the invisible hand of the market will ultimately level everything out, right? Well, maybe. The toothpaste reference is pretty trivial, but it points to a bigger question about designer culture. Designer culture is still about the aspirational, and it’s well established in mainstream markets. the consumer revolution depended on the sudden availability of things, which allowed ordinary people to buy ready-made objects that once were inherited or self-produced. We are consigned to communicating through design, but it’s an impoverished language that can only say one thing: “That’s cool.” Design ceases to serve our needs, and the superficial qualities of useful things end up cannibalizing their functionality. The problem ultimately is that all this consumption fills some sort of void in our lives, at least temporarily. And by feeding the void in our lives, designers are providing the stimulus that keeps the modern economy moving. According to the news reports I’ve been reading, the economy of the United States has a pretty good chance of heading into a recession for most if not all of 2008. One of the primary causes, resulting in part from the rocking of the financial markets due to sub-prime lending, is decreased consumer spending. Consumer spending, which accounts for two thirds of economic activity, weakened in the month of December. But for those of us who would like to see a decrease in consumption, is this necessarily bad news? After the terrorist attacks in 2001, I remember being slightly horrified by Bush the 43rd admonishing the people of America to ‘go shopping’ to fight back against terrorism. Of course, there was an important idea in there somewhere, that we shouldn’t allow our lives to be controlled by a few fundamentalist wackos. But I found it hard to believe that a trip to wal-mart was the best way to fight back against Osama bin Laden. It’s a long way from the Victory Gardens our grandparents planted to help win World War II. I was thinking about this when I came across an excellent article by Madeleine Bunting, published in the Guardian, called “Eat, drink and be miserable: the true cost of our addiction to shopping”. We have a political system built on economic growth as measured by gross domestic product, and that is driven by ever-rising consumer spending. Economic growth is needed to service public debt and pay for the welfare state. If people stopped shopping, the economy would ultimately collapse. No wonder, then, that one of the politicians’ tasks after a terrorist outrage is to reassure the public and urge them to keep shopping (as both George Bush and Ken Livingstone did). Advertising and marketing, huge sectors of the economy, are entirely devoted to ensuring that we keep shopping and that our children follow in our footsteps. The question that I have been wrestling with regarding this question is how we can both decrease our rampant disposable consumerism while still continuing to have a reasonably robust economy. How am I supposed to continue pushing the economy forward while cutting my carbon footprint by 60 percent? Extrinsic, materialistic goals (e.g., financial success, image, popularity) are those focused on attaining rewards and praise, and are usually means to some other end. 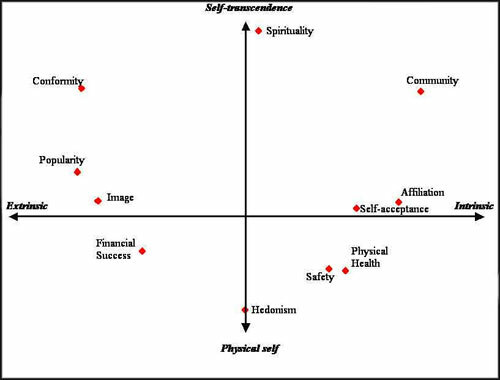 Intrinsic goals (e.g., personal growth, affiliation, community feeling) are, in contrast, more focused on pursuits that are supportive of intrinsic need satisfaction. Personally, I’m not quite sure where I fall on the Aspirational Index. I try to be mindful of what I’m consuming, where it comes from, and where it ends up. Still, I have a couple pair of shoes that I bought on a whim, and a jacket I didn’t wear more than a few times. I don’t get a whole lot of joy out of going shopping, whether for clothes or anything else, but I’m sure there are many, many ways I could do more with less. It occurs to me that there needs to be a new paradigm of consumption, one that will work for business, community, and environment. I don’t know what form this new paradigm will take, but I believe it has something to do with learning to appreciate the real value of things and their place in our world. Designers have an opportunity to engage in this paradigm shift. Part of the story lies in creating products that have intrinsic and lasting value, products that I like to call artisanal. And part of the story lies in better communicating the value of the artisanal. I believe that designers have an ethical duty to work toward the end of disposable culture. Of course, this isn’t going to happen overnight, and it’s not going to happen in vacuum. But it is going to happen, whether we choose to be a part of the process or not. Better to engage the future rather than have it thrust upon us. The subtitle of Madeleine Bunting’s Guardian article is “Today it seems politically unpalatable, but soon the state will have to turn to rationing to halt hyper-frantic consumerism”. She speaks to the inevitability of changing our behaviors, and believes that the change will not happen without intervention from the state. Whether it is rationing, or taxes, or other means, the change, ultimately, will have to come. So far, war has been the only force that can discipline a whole community, and until an equivalent discipline is organized, I believe that war must have its way. War, like consumer capitalism, offers a way of getting people motivated and organized. Adam Smith, in “The Wealth of Nations”, argues that “It is not from the benevolence of the butcher, the brewer or the baker, that we expect our dinner, but from their regard to their own self interest.” Self interest is a strong motivational force, and unless and until there is a “Moral Equivalent of Consumerism” it may well be impossible to create an alternative solution. It will likely be necessary for government to engage in rationing or taxation to decrease our impact on the environment. But there is also an important component that should not be ignored, and one that can and should be engaged in by the designers of our products and communications. A new aspiration, perhaps focused on the intrinsic and self-transcendent as Tim Kasser explains. A aspiration toward what is valuable, an experience where less is truly more. Great indeed is Fear; but it is not, as our military enthusiasts believe and try to make us believe, the only stimulus known for awakening the higher ranges of men’s spiritual energy. In seeking a moral equivalent of consumerism it is our challenge to use our capabilities to awaken the higher ranges of each person’s spiritual energy, and to produce objects and communications that are filled with value. Should designers work toward the end of aspirational consumer culture? Ultimately, I’m not sure there is any other choice. I joined the Designers Accord this past week. I think of it as a more modern version of the hippocratic oath for designers. It’s not just a call to arms, it’s a code of ethics, a responsibility to think through every decision you make as a designer with as much perspective as you can muster. The Designers Accord focuses primarily on environmental components, though I believe that there are social justice components implicit in the initiative as well. And it is not just designers who should consider these issues – though designers have been responsible for making more than their fair share of trash in the past. But this is a consideration for all of us in our daily lives. Recognizing the near impossibility of changing consumer behavior and business behavior alike, the Designers Accord asserts that these firms, which design everything from graphics and packaging to user interface to final product, are ideally suited to get the design-for-impact conversation rolling. In some ways these are heady times for designers. Rock star architects and product designers for Target and the latest electronic gizmo. But there has to be a way to creatively engage each client, each individual, in a conversation that pushes all of us to provide more value with less impact. Kudos to Valerie Casey for starting this initiative. Now, let’s get to work. Design rests on a continuum between production and innovation. Along this continuum, whether working in product, communication, or interaction, designers focus on providing a compelling experience, an experience that is useful, usable, and desirable (or, as the architect Vitruvius wrote in the first century BCE, firmitas, utilitas, venustas). In those realms of design that are mature as a practice, it’s not necessary to invent new approaches in order to provide their audience with a satisfactory experience. For instance, print design for corporate reports or brochures or magazines may benefit from new approaches, but in a narrow sense innovation isn’t required to be successful. These design realms lie closer to the production end of the spectrum. While there are many designers doing successful work in these fields who don’t feel the need to change the recipe for success, others are feeling “the squeeze of print” during our time of interactivity and connectedness and environmental awareness. Many writers, illustrators, and graphic designers have taken the best practices of print communications and are now applying them to the web and interactive world. For these artists, it’s not too great a stretch to design for interactivity. These artists are well-served by understanding basic principles of people-centered research and design, but a deep knowledge of these realms isn’t absolutely necessary for their work to be successful and engaging and compelling. The intersection of motion design principles with ‘swiss’ design grids and hierarchies is bringing out some great design work. But most of the change is formal rather than essential. For many designers, interactivity and connectedness and socially responsible approaches have led to new paradigms; there is an increasing overlap between the worlds of ‘strategy’ and ‘design’. Business strategy in particular is closely aligned to design innovation; in fact, it’s sometimes hard to tell the difference between the two, though there are important differences. What are the specific approaches that allow designers to create new products? And how do these approaches align and diverge? As we look at the new paradigms in contemporary design practice, there are many terms currently in play. For instance, design thinking has gotten a lot of press, and there are other terms bandied about to describe these new approaches; people-centered design, participatory design, interaction design, metadesign, concept design, systems design, innovation design, and story-centered design are just a few, and each speaks to some part of this evolving approach to designing change. It’s possible to consider all of these as components of a broader world of design strategy. At the least, they tend to share some characteristics; for instance, most combine research and generative components, advocate for iterative methods, and encourage the use of narrative as a tool for discovery. The value of ethnographic and other qualitative research techniques in the development of people centered design is broadly understood and accepted. Observation, interviews, journaling, and other techniques offer designers working in a variety of fields (product, experience, communications, interaction, etc.) the opportunity to gain insights that inform the design process. Some research approaches are comprehensive and take a considerable amount of time and expense to complete, while others focus on quicker turnaround with a guerilla attitude. The appropriate combination of research components has to be tailored for each design problem, and may vary from conducting a few interviews with friends to spending months or even years recording the behaviors of whole families or organizations. What is undeniable is the value of conducting some research on any innovation project; you don’t want to overbuild your initial solution, but a key component of designing innovation is “getting out of your head” and understanding the perspective of the person who will be using your product. Even short research can often reveal adaptive and compensatory behaviors as well as individual peculiarities that help to inform the design process. For instance, I conducted a series of interviews with University of Denver students recently, and found both surprising alignment and extensive differences both in terms of behavior and values. A well-conducted interview can reveal quite a bit, but I’ve also had great success using participant photo journals to explore beyond the time limitations of the interview session. More extensive research programs have been used to create whole new product categories. A description, of a system, activity, belief, setting, culture, etc. Whatever the scope of the research project, understanding the importance of interpretation, goals, and limitations is critical to success. This is not research for research sake; the findings may be surprising, but the goals should be well-defined. Too many of our products are function first/form second—or form first/function second—with narrative, story-telling elements nowhere to be found. How bad would it be if our products began with narrative in the first place; with an idea of the experience of the product in mind, before that product ever had the chance to turn into landfill? Not bad at all, really. 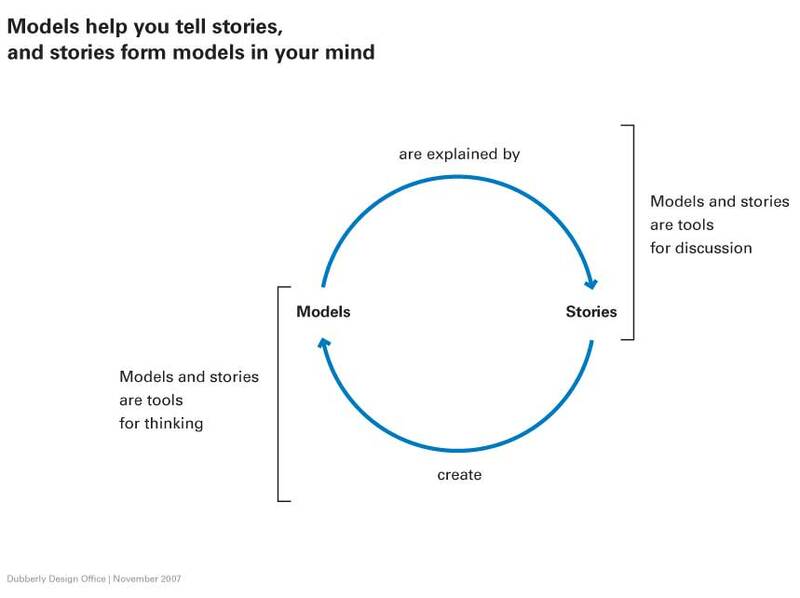 more and more product designers are now exploiting the power of storytelling to probe user behaviors, find experience “touchpoints,” create novel forms, and ultimately deliver new product experiences. As with research techniques, narrative exploration needs to be focused on well-defined goals; stories need to be individualized and involve specific interactions. Story-centered design is a method that needs to be combined with other design approaches to be used successfully. As businesses have become good at managing quality, quality has become a sort of commodity – “table stakes,” necessary but not sufficient to ensure success. When everyone offers quality, quality no longer stands out. Businesses must look elsewhere for differentiation. The next arena for competition has become innovation. The question becomes: Can innovation be “tamed” as quality was? One component that Dubberly discusses in his model is the importance of values (beliefs may lead to actions may lead to artifacts). Experience shows that an iterative design process based in the experience of the individual requires grounding in the importance of providing value. There is a facet of the design process that isn’t satisfactorily described by any of these terms; specifically, the experience of design as iterative, evolutionary, and, in a sense, out of the designers control. I’ve written about this before when discussing the work of Jan Chipchase, who argues that designers provide the basic functionality, and the extensions are added by the users. How do we design for a future that we can’t foresee? The best term I’ve heard for this is ’emergent design’. in the case of emergent narratives, game spaces are designed to be rich with narrative potential, enabling the story-constructing activity of players. In each case, it makes sense to think of game designers less as storytellers than as narrative architects. If we abstract the idea of emergent narratives beyond games, perhaps emergent design offers the opportunity to describe a design process that is equally “rich with narrative potential” while inclusive of other design methods (for instance, ethnographic research and prototyping). It points to iterative and participatory approaches, without requiring a particular methodology. When the desired changes cannot be reliably foreseen, and particularly when the target domain is computationally too complex for automation and thus relies on the understanding and development of the people involved, then top-down, preplanned approaches have intrinsic shortcomings and an emergent approach is required. The critical point is that adoption and implementation of new methodologies needs to be based in, and grow from, the existing culture, and typically fails when it is merely imposed from above without such cultural considerations. Of course, there always has to be balance between production and innovation. But more and more there is a need to ask what if, to get out of our own heads, to explore, to innovate our way into the future. Continuing the mobile phone theme, I came across a presentation by Jan Chipchase at the TED conference (via the putting people first blog at experientia.com). I’ve posted it below if you want to check it out. I’ve mentioned Jan in the past and have subscribed to his blog, future perfect, for quite a while now. I’m always intrigued by what he is doing, much of which is only peripherally involved in the design of future mobile phones. The TED presentation is a good amalgamation of his thoughts, and has some pertinent insights. For those who don’t know his work, Jan is a researcher for Nokia focused on how people use technology. He has travelled all around the world to see what people carry with them. Pretty much worldwide, people carry three things with them; keys, money, and (increasingly) mobile phones. These are connected directly to our most basic needs (as described by Maslow), specifically our well-being in a physiological and safety sense. Mobile phones are right there in the mix; they provide us with a way to provide four our own security and that of those we care about. Through his observations, Jan comes to a number of conclusions, including the following. In the modern world, our experience transcends space and time. Your sense of your identity is out of date. The only way never to forget anything, is to have nothing to remember, and you can only do this by delegating what you need to remember to those around you. This reminds of a story I once heard about Prince, aka the artist formerly known as the artist formerly known as Prince. As the story goes, Prince has all his clothes designed for him, and none of the clothes have pockets. If you don’t have pockets, where do you keep your keys, money, and mobile phone? All that has to be delegated to somebody else. So maybe it’s true that importance in the world can be measured in inverse relationship to the amount of keys you carry. Janitor, lots of keys. Presidents and Queens and Princes, no keys. Those of use who have keys (and money and phones) all behave the same way when we leave a room; first, we check our pockets (or purses, I suppose), and then look back into the room we came from to be sure we haven’t forgotten anything. I sometimes do the opposite. I’ve got a couple pair of pants that have a clever new design adaptation; a side pocket constructed to hold a mobile phone. This is terrificly convenient, but occasionally presents me with a mental challenge, especially when I’m going through the security line at the airport. More than once I’ve set off the metal detector because I forgot I had the phone in its special sleeve. From a design perspective, Jan points out that the uses of technology are determined by the adopters, and are very often different from what we expect them to be. Product designers provide the basic functionality, and the extensions are added by the users. For this reason, he says he doesn’t know what the future will look like. If we want to design the future, we need to learn to listen. Over the past month I’ve been conducting research for the University of Denver for various web-related projects they have going on. As part of this process, I interviewed a number of undergraduate and graduate students about how they find information, connect with their friends, and generally how they use technology in their daily lives. Without getting into the details, there were some fascinating general findings, especially regarding the use of cell phones. I’m no Jan Chipchase, but I think this information may point to some interesting opportunities for future design. Most of the students I talked to weren’t early adopters of technology, so they were mostly interested in finding ways to use devices in a way that makes their life easier. As you would expect, all the students have cell phones, and they are very important to them in staying connected with their friends and family. They also all have laptops, and there is a clear separation between the two devices. None of the students I talked to use their phones to browse the web, though a few were considering getting an iPhone (or a similar device) sometime in the future once it’s easier to connect to wifi networks. This is a particularly important on the campus given the requirement for authentication to connect to the university’s wireless network. But mobile web browsing didn’t appear to rate very high on the interests. Similarly, mobile email wasn’t something that the students used on a regular basis. Unlike business users (like myself), with our addiction to our ‘crackberries’, the immediate access to email isn’t that important to students. They are okay with accessing their email via their laptop, and if they don’t get an email message immediately it’s not a cause for concern. Usually they check their email (often through a web browser) as they’re getting into their work process. Check email, check a couple of news sites, and then settle in to do your homework. What was much more important to most of the students I spoke with was “mobile messaging”. They used messaging to connect with their friends, sometimes to chat, but mostly for ‘transactional’ messaging. “I’m running ten minutes late”, “Are you going to be at the coffee shop tonight”, that sort of thing. All who did this said it was so much easier and more efficient than talking on the phone. In fact, most of the students had little interest in talking on the phone at all. One said that he only uses the phone on Sundays when he was calling home to talk to his family. Other than that, messaging was the preferred way to connect with his friends. Unlike myself, these students have all grown up with instant messaging, and using their phones in this manner is second nature to them. It’s what they are comfortable with, it’s easy, it’s just how things are done. I’ve recently gotten myself into a new phone contract, and I ended up with a blackberry pearl. I considered an iPhone, but decided against it as I try not to buy first generation products from Apple (not that I haven’t done it in the past – I’m still waiting for my first generation iPod to die so I can get a newer model) I find the email capability to be very handy, though the ubiquity of it can be a bit overwhelming at times, and I use the WAP web browsing from time to time. But messaging isn’t that important to me, and I’ll still resort to a phone call if I’m running late. Tell me about it. Who knows, maybe I’ll give mobile messaging a try. Note #1: Wired has an interview with the national champion of texting here. lol. If you’d asked me to predict texting I’d have said, “No, it’s really too hard. Jeesh, you need to type three times to get a ‘C.’ That’s ridiculous.” Not only did people learn it, but (they) learned it so well…So, there’s an adaptation for you. The issue is not how tech-savvy you are, or how quick you pick up to it. I believe these are things that often take many hours to master…You just didn’t want to spend the next 20 hours of your life mastering it. But a lot of the kids, they have that kind of time to devote to it.